When everyone helps the trailer is unloaded in no time! Whether you prebooked activities or not, before you can join us for an activity you need to sign up at our diving school at least 1 day in advance. Then you can plan your activities, fill out the required papers, and fit equipment or have your personal equipment tested. We make daily schedules for the activities we offer. Our planning closes at 18.00 the day before, so make sure you come by earlier. Please note, that if you want to cancel a planned activity and get it refunded this must also be done at the latest by 18.00 the day before. Every diver or snorkeler needs to fill out a participant form and the applicable PADI forms. Please bring your passportnumber and if you are a certified diver also your diving certification card and logbook for this. One of the PADI forms for divers is the PADI Medical Statement. This is a list of questions concerning your health that need to be answered with YES or NO. If you can answer all questions with NO, then filling out this form when you are here is sufficient to be allowed to dive. If you need to answer one or more questions with YES, then we will also need a doctor’s statement saying that you are “fit to dive”. In the garden of our diving school we have a variety of top quality rental diving and snorkelling equipment. Our materials are serviced regularly and are maximum 2 years old. When you are diving with your own equipment we check the condition of your BCD and regulator. This is a free service we provide to prevent unsafe and unpleasant situations when you are diving. Here is an overview of the general daily schedule on the beach. Of course times are approximate and can vary slightly from day to day. For courses, theory lessons are usually planned at 17.00 at least 1 day before the corresponding dives are made. In the morning we decide to which beach we will go that day. This depends on the weather and the experience of the divers/ snorkelers. Upon arrival at the diving school we will inform you about the available facilities. Our guide brings an underwater camera to make pictures of the day. You can buy the pictures afterwards at the diving school. Here is an overview of the general daily schedule on the boat. Of course times are approximate and can vary slightly from day to day. Lunch and drinks are included in the trip. The captain decides to which diving sites we will go. This depends on the weather and the experience of the divers/ snorkelers. Here is an overview of the general daily schedule for the Waterfalls trip. Of course times are approximate and can vary slightly from day to day. There are no facilities. We will bring some fruit as a snack during the day. On our way to the gorge we will stop at the pottery where you can leave your valuables. Do not bring too much, because it are quite some steps down and up the gorge. Throughout the season, from 1 April to 15 November, our diving centre in Crete is opened daily from 8.30 to 12.30 and from 14.00 to 20.30. Our office is open all year round, so you can get in touch with us by phone or email any time to plan your holiday. 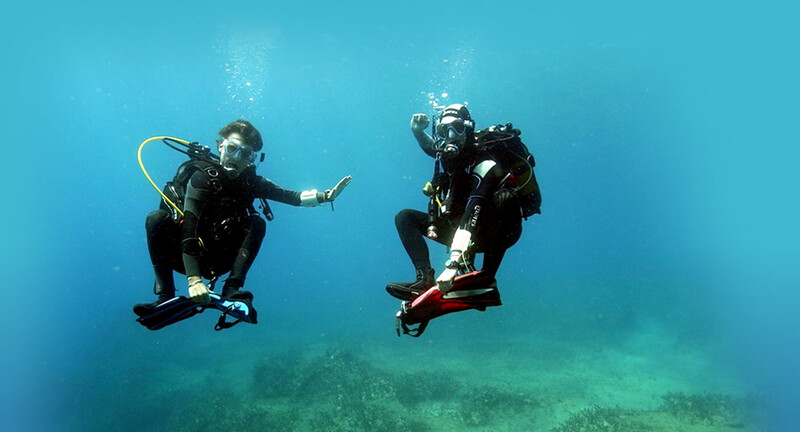 You can find our diving school along the boulevard of Plakias, right across the taxi and bus stop.